Would you charge into battle and follow orders if you knew you would die? Is a film that sums up the most essential ethical dilemma at the heart of what it means to be a soldier, and to serve in combat. This is it, the singular most compelling question—and the reason it made number one on the list—this is the question that supersedes all other ethical questions: As a soldier, will you knowingly die for the cause you are fighting? Sure, as a soldier you always know death is a possibility. When I was in the infantry, I knew that death was a possibility. And when I was in Afghanistan, there were men in my unit who died. And as soldiers, both myself and all the other men I served with were willing to take that risk. Of course, that's the operative word, "risk." But what happens when it's not a risk, or a chance, but a certainty? In Peter Weir's Gallipoli, the story of a doomed World War I campaign by the Australian Army in Turkey, two best friends (one of them played by a very young Mel Gibson), enlist in the Army, enticed by visions of adventure, and buoyed by notions of patriotism. But when they arrive at Gallipoli, what they find is trench warfare. The men are ordered up over the side of the wall in waves, only to be repeatedly mowed down and killed, every last one of them, by entrenched enemy machine gun positions. To make matters worse, the commanding officer, a stereotypical colonial British officer, seems indifferent to the repeated casualties, simply ordering the officers under his command to make the men swarm the enemy as if the 7th failed iteration will have any different outcome than the 1st. (For another great film on the same moral issue, see Kubrick's Paths of Glory where soldiers are imprisoned and threatened with death for refusing to die on the battlefield. The Ethical Dilemma: You are a soldier in the Australian Army, you have sworn allegiance to your country, you are serving side by side with your best friends, and you have been given a lawful order by your commanding officer to swarm over the side of the wall and attack the enemy position. Though, you know, to follow this order, you will surely die. What do you do? What They Did in the Film: In the film, they climbed the wall, ran across the field towards the enemy position, and they were promptly all cut down by enemy machine gun fire. Then the film fades to black and the credits roll. Would you let a civilian go free if it meant they would give away your position to the enemy? If Gallipoli represents the most essential question of warfare, the idea of sacrificing the self, Lone Survivor represents the second most essential question of warfare: To what extent will you protect civilians, at the risk to your own life? In the film, which is based on a real-life story, a small four-man team of Navy SEALs ​are deep in Taliban country in Afghanistan, hiding from a much larger enemy force when they are discovered by a goat herder. This chance encounter reveals itself to be a fraught moral decision without any good outcomes. On the one hand, they can let the goat herder go, but be almost certain that the goat herder will alert the enemy to their location. Or, they could kill, maim, or in someway disable the goat herder from being able to compromise their location, but in doing so end up initiating violence against a civilian, and knowingly violate the rules of engagement. The Ethical Dilemma: As part of a small team behind enemy lines, a civilian uncovers your position. What do you do? What I Would Do: I hope that, like Marcus Luttrell, the author of the book on which the film is based, and the real-life lone survivor of the mission, that I would let the goat herder go. What They Did in the Film: As the title implies, only one survived to tell the tale. They let the goat herder go and it likely cost them their lives. Would you give up your country if it would save yourself? In Rescue Dawn, Dieter Dengler (Christian Bale) a U.S. fighter pilot is shot down over Laos during the Vietnam war. He is tortured, humiliated, and thrown in the most dingy, dirty, prison one could imagine. His captors though offer him a deal. If he will simply sign a document denouncing the United States, they will offer him leniency. The Ethical Dilemma: As a prisoner of war, you're being asked to betray your country in order to improve your conditions. What I Would Do: I would immediately betray my country. I don't understand how a document signed under duress held by Vietnamese Communists that had me criticizing my country would change anything one way or another. It wouldn't bring victory to the North Vietnamese, and it wouldn't harm Americans, which makes the signing of the document purely a symbolic gesture. Consequently, to not improve my conditions over an action which is essentially meaningless, seems slightly crazy. What They Did in the Film: (And again in real life, as this film is also based on a real life story). Dengler refused to sign any documents denouncing the United States and was kept in confinement as a prisoner of war for several years. He was eventually able to escape though and make his way back to U.S. forces. Would you target enemies for assassination, if it meant there would be innocent civilian casualties? The Gatekeepers is a documentary film about the Israeli state intelligence security service. It was difficult to pick out a single moral hazard in this film (which is chock full of them), but one that stands out is the planned bombing of a Hezbollah leadership meeting in Lebanon. The Israelis knew that a large number of their enemy would be gathered together in a single location and that this was an ideal opportunity to take out many individuals at once. The Israelis knew the location of the building, but they did not know what floor of the building the men they were after would be meeting on. This mattered. For instance, if the targeted men were to meet on the bottom floor, then the Israelis would have to use a super-sized bomb, one that would likely cause extensive civilian casualties in the surrounding area. However, if they used a smaller munition bomb, they could ensure no civilian deaths, but they would only be able to kill their targets if the targets happened to meet on the top floor of the building. The Ethical Dilemma: You're targeting your enemies to be killed. To ensure they are taken out, you have to use a bomb size which increases the possibility of civilian casualties. You can ensure no civilian casualties, but you will not be guaranteed to take out all of your enemies. What I Would Do: I would spare the civilians and take my chances at not hitting all my enemy targets. What They Did in the Film: (And in real life, for that matter, this is a documentary, after all.) In real life, they also spared the civilians. Not that they got any credit for making this decision. All of their enemies escaped, the local populace erupted in intensive anger for the attempted bombing (never knowing that the decision to spare them was purposeful), and there were numerous retaliatory attacks against Israel, many of which, likely killed Israeli civilians. Would you torture a suspect to get information? Zero Dark Thirty which came out in the first few months of the year was roundly criticized for its depiction of waterboarding. I've always found this controversial somewhat strange though as the film is only purporting to be a document of what occurred in real life. We know that U.S. forces were frequently participating in waterboarding during the Bush administration. Consequently, how is a film about our history in that era, which accurately recreates the details of that point in history eligible for the blame, and not the history itself? The Ethical Dilemma: You're investigating the whereabouts of Osama Bid Laden, the mastermind behind the 9/11 attacks. You have a suspect but he's not talking. Do you waterboard him? What I Would Do: I would probably participate in waterboarding. I wouldn't be comfortable with it, I wouldn't like it. But I'd also be cognizant that the individuals we'd be dealing with weren't the world's nicest people, and that it was imperative we received whatever information from them we could. And yes, even knowing all the objections to waterboarding—that the victim will tell you whatever they think you want to hear to make it stop—if ordered to, I would probably participate. Just being honest. 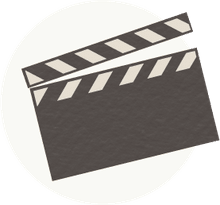 What They Do in the Film: In the film, as in real life, they tortured suspects which, depending on whom you speak to, or what source you read, did or did not lead to actionable intelligence in the hunt for Osama Bin Laden. If you received orders to fire nuclear weapons, would you follow them? In Crimson Tide a submarine commander (Gene Hackman) receives orders to fire his nuclear payload. A second order starts to arrive but is interrupted mid-transmission. As the commander of the boat, you're not sure what the second order said. The Ethical Dilemma: You have two sets of orders. One ordering you to fire nuclear weapons, the other with an unknown message. You can't communicate with the outside world and if the first orders to fire the nuclear weapons are legitimate, this means your country is in war and you possibly can't waste any time firing your nuclear warheads. What I Would Do: I would not fire the nuclear weapons under any conditions. Even if Russia launched a full nuclear strike against America, I would not fire nuclear weapons in retaliation. Nothing I could do at that point would save America, so what would be the point in compounding the worst tragedy of human history by murdering another couple hundred million Russians? What They Did in the Film: Well, after much mutiny and fighting on board the submarine, they ended up not firing the nuclear missiles and as it turns out, the second message was indeed a message ordering the submarine to not fire its payload. If assailants were firing at you from a crowd of civilians, would you fire back? In this film, a Marine Expeditionary Force is evacuating an American ambassador from Yemen, when the embassy is surrounded by angry crowds. Someone in the mob starts opening fire on the Marines and as the unit leader, Samuel L. Jackson's character has to decide how to respond. Unfortunately, most of the protesters are innocent civilians, only intending to protest, and perhaps, at most, throw rocks. The Ethical Dilemma: You're being fired on from a few selected individuals who are hiding amongst a crowd of protesters. Do you fire back and eliminate the threat even though it means civilians will be killed? Or do you abstain from returning fire, even though it might mean either you or the soldiers you lead getting hurt or killed? What I Would Do: I have no idea. I might cower in fear until someone relieved me of command. What They Did in the Film: They fired on the protesters and many innocent people died. Would you risk the lives of many men, to save the life of a single man? The ethical dilemma in Saving Private Ryan is a fascinating one. Is it morally or ethically sound to risk the lives of many men, in order to save one man; what is the value of one life? Or, more specifically, in the context of the film, what is the value of one life who happens to be the sole remaining survivor of a family in which all three other brothers were killed in combat? Realizing that the matriarch of the Ryan family will be receiving three telegrams alerting her that three of her four sons were killed in combat on a single day across different theaters of combat around the world, a top military commander orders a squad of U.S. Army Rangers fresh from the Omaha Beach invasion to cross Nazi-occupied France to search for the last Ryan brother, and bring him home alive. The Ethical Dilemma: A mother has lost three sons in combat in a single day. Do you order more men to retrieve her last son, even though it will likely mean that more than one person will have to die to retrieve a single soldier? What I Would Do: I would not order the men to retrieve Private Ryan. The men who would die to bring him home have mothers too. What Happened in the Film: Everyone's seen Saving Private Ryan, you know what happens. Would you endure torture, in order to ensure that the Geneva Convention was followed? In Bridge on the River Kwai, prisoner of war Lt. Col Nicholson (Alec Guinness) squares off against Japanese commander Colonel Saito during the second World War. Nicholson's soldiers have been taken captive as slave labor in order to build a bridge vital to Japanese military interests. Nicholson though refuses to let his officers participate in the manual labor as specified by the Geneva code, something that the Japanese don't put much stock in. Nicholson refuses to budge from his position though and ends up tortured by the Japanese. Later, when the British do end up working on the bridge, Nicholson's orders are that the bridge must be a testament to the British Army and be built with the utmost quality and care. The Ethical Dilemma: As a prisoner of war, would you endure solitary confinement and torture before you agreed to participate in work routines that were not endorsed by the Geneva Convention? What I Would Do: I would immediately give in and have my officers begin working on the bridge. I wouldn't be willing to endure torture simply so that the rules of the Geneva Convention could be adhered to. But then, we've already established that I have no honor. Would you report fellow soldiers that had committed war crimes? The Ethical Dilemma: Your peers have participated in rapes and murders. Do you report them? To do so, might mean risking your own life. What I Would Do: Yes, of course, I would report them. What They Did in the Film: Sheen's character refuses to participate and as a consequences, Sergeant Elias, the platoon's good sergeant is murdered.